Today, Tanzania has announced the preliminary results from the aerial surveys in Tanzania that were conducted as part of the Great Elephant Census (GEC). 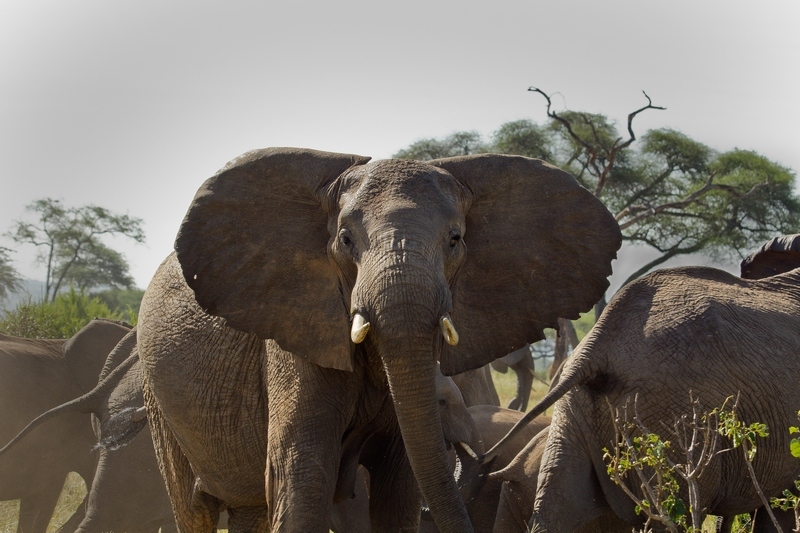 The figures released today show the east African country’s elephant population, once among Africa’s largest, has fallen to 43,330, a drop of several thousand from the previous survey. In 1976 Tanzania boasted seven times as many elephants. Announcing the results of a new aerial survey the Tanzanian Minister for Natural Resources and Tourism Lazaro Nyalandu claimed the figures were a “mixed bag” with increases in some areas overshadowed by a dramatic fall in the Ruaha area from 20,000 in 2013 to 8,272 last year. The announcement confirmed an ITV News report earlier this year which was “categorically denied” at the time by the National Parks authority. Mr Nyalandu announced a number of measures to combat poaching including an increase in the number of rangers in the affected areas, new funding for anti-poaching efforts and a national law enforcement strategy to address the lack of successful prosecutions for poaching. Why has this gone on so long? Will anything realy be done about it? We are running out of time. This is one post I really wished I'd never be writing. Is demand for ivory in China diminishing?